1617k USS LCI(G)-69 at Leyte Gulf, circa November 1944. 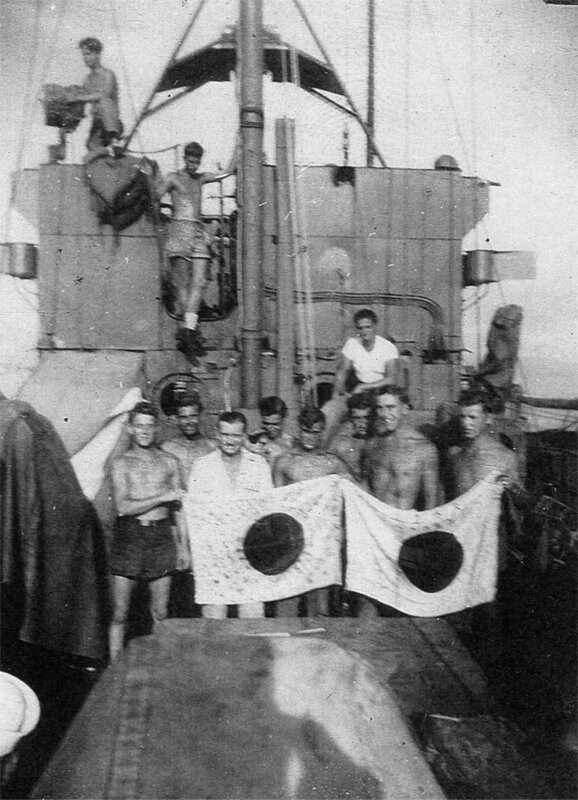 219k USS LCI(G)-69 crew members with Japanese flag Left to right foreground; Unidentified, CBM Tommy Longeran (in white shirt holding flag), Lowel Bates, Walt Keeler, BM2/c Desmond H. Johnson (far right holding flag). 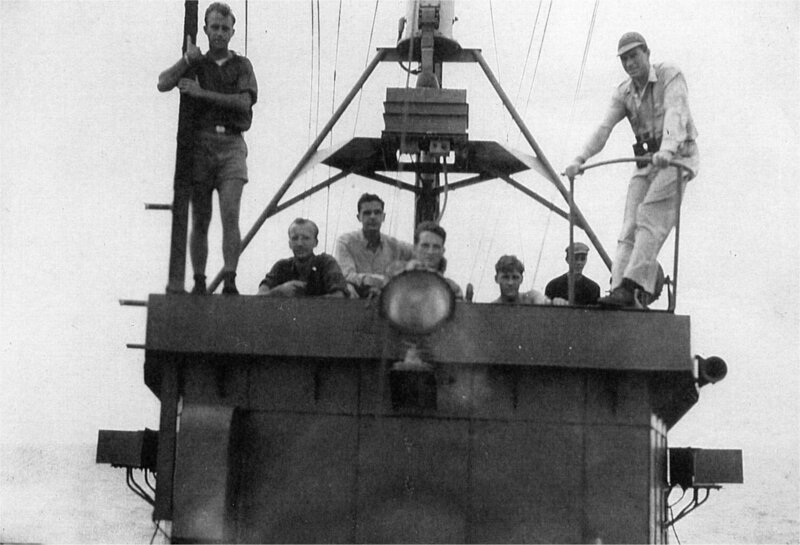 903k USS LCI(G)-69 officers, left to right; LCDR Archie Holmes, Arthur Seale, John Ehlers and LTjg. Herman Roesti in the 3" gun tub. Note the art work. 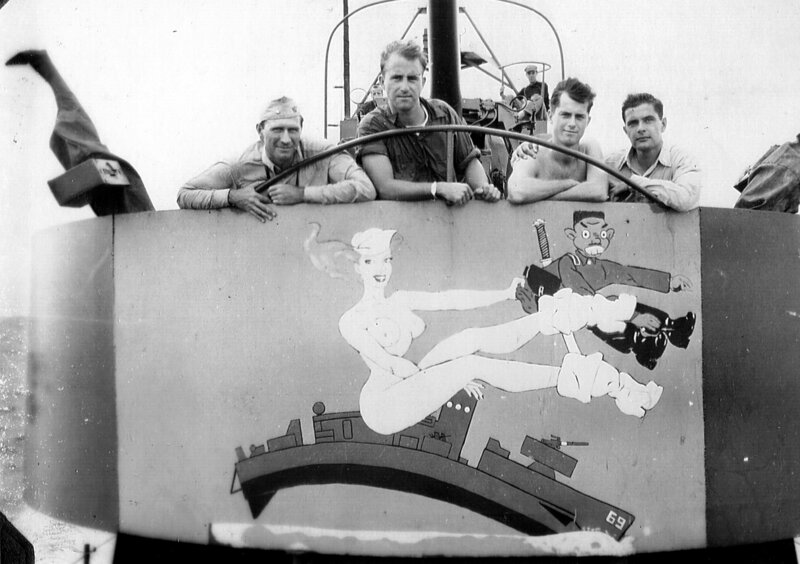 262k USS LCI(G)-69 conning tower with from left to right; Arthur Seale, Larry Simmering, Commanding Officer LTjg. Herman Roesti, Ted Cummings, unknown, Clarence Johnson, LCDR. "Squad Don" Archie Holmes (all officers except Johnson). 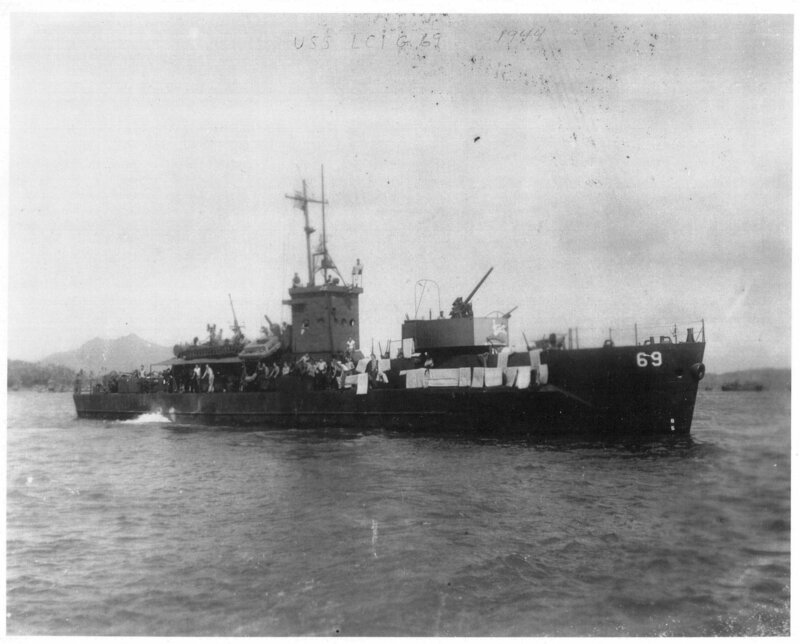 Photo was taken in January 1945 in Leyte Gulf after the ship returned from the Lingayen Gulf invasion. 235k The immediacy of battle left little time for formal meals on board the gunboats. 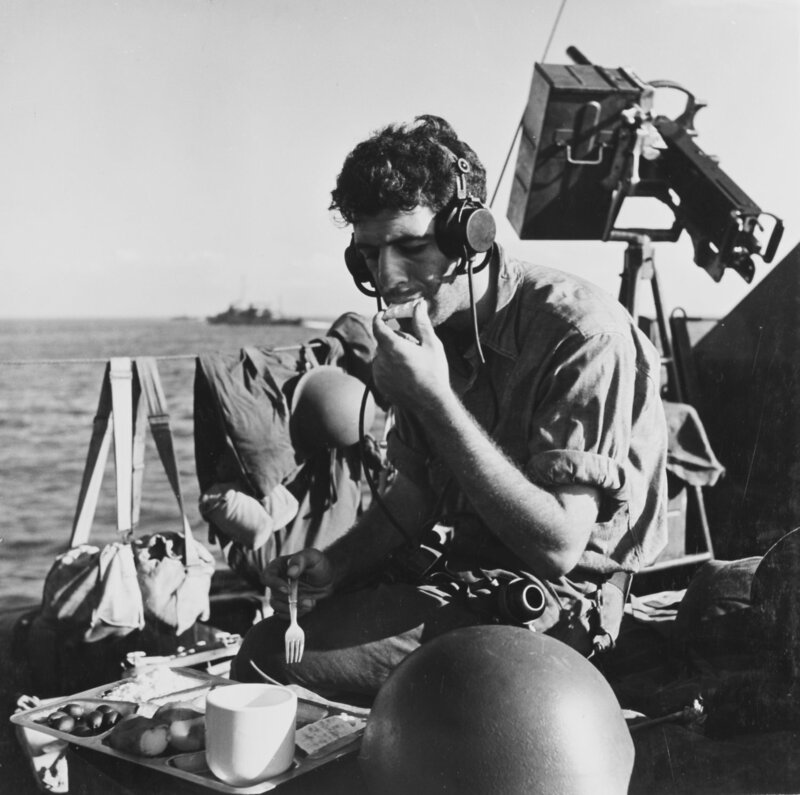 An USS LCI(G)-69 crewman eats at his general quarters station as the ship approaches Luzon on 6 January 1945. A standard tripod-mounted .50 caliber machine gun is seen over his shoulder. 421k USS LCI(G)-69's Commanding Officer LTjg. 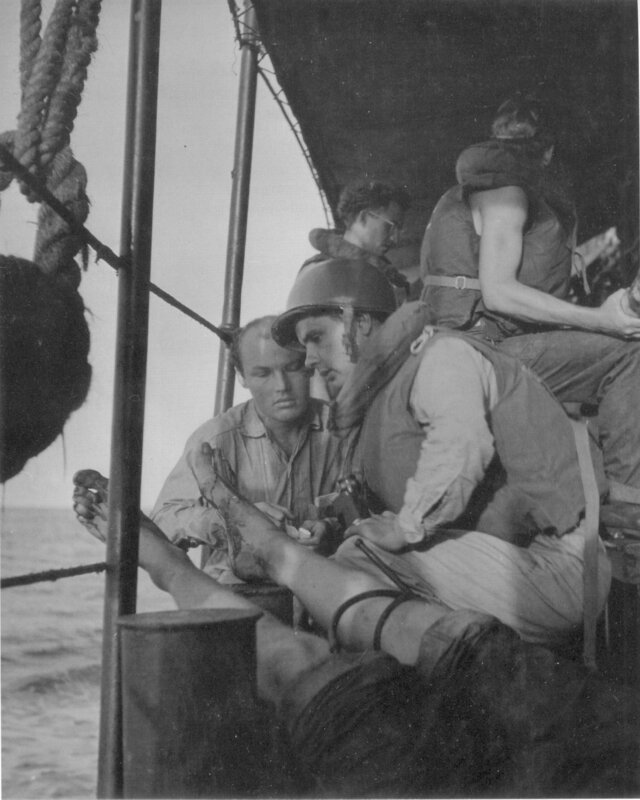 Herman Roesti (wearing helmet) treats leg wounds of one of his crew. Notice the tourniquet which has been applied to the man's thigh to stem the flow of blood.